Best mold removal Miami experts, 24/7, certified, free inspection! We all aspire to own a beautiful home that truly expresses our character, style and ambitions. If you are striving to reside in a house that rivals the fashion homes designed by Forrester Creations in ‘The Bold and the Beautiful’, then note that there is no room for mold when anything beautiful is on the design table. 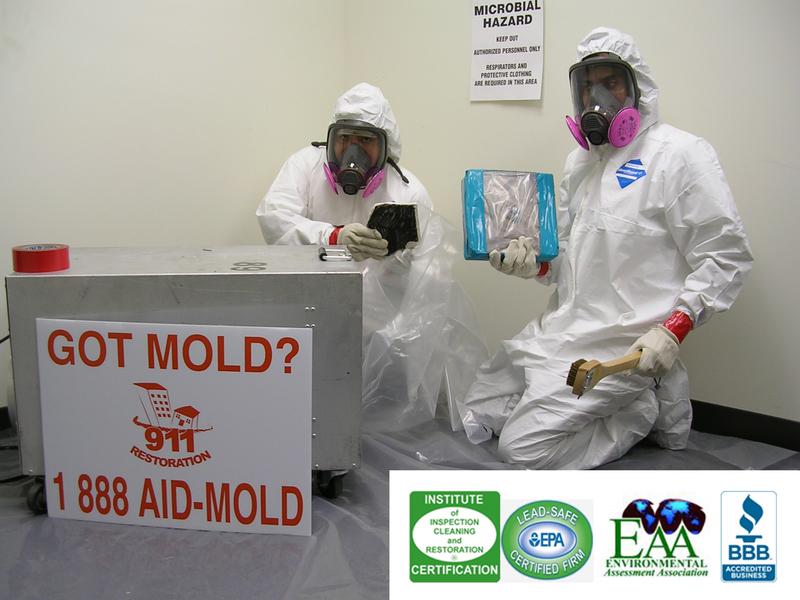 According to the United States Environmental Protection Agency mold can grow in virtually any home and it poses dangers to human health. By learning how mold forms you can better defend your home from succumbing to this nasty menace. As disgusting as it is, mold is a part of nature and it can be found all over our environment. While outdoor mold plays a vital role to the cycle of life by breaking down dead organic material such as that little chipmunk that wasn’t fast enough crossing the road, or those fallen leaves that your kids never raked up, mold should never be allowed to grow in your home. Mold doesn’t require a bed and a smooth jazz CD to reproduce; all it takes is for mold spores to float in through the outdoor environment and land on a wet or moist surface in your home. Mold spores are invisible to the naked eye, but once they breed and spread, they appear in the form of ugly black spots. When you discover such a sight it is vital to call a mold removal expert right away, as household mold can make people extremely sick. Aside from the physical symptoms that you may have a mold problem in your home, your house can show symptoms too. If you detect a musty odor in your home and the air feels damp, you would be wise to call a mold removal company that offers a free inspection to any concerned homeowner. How can I Prevent Mold from Entering my Home? Mold can’t grow without water or moisture, so the key to preventing mold from growing in your home is to keep it dry. Start by having your plumbing inspected for cracks or leaks. A slow pipe leak can manifest over a great deal of time while going completely unnoticed and spring up a thriving mold colony. If you discover a pipe leak call a water damage restoration company right away and make sure their technicians are also licensed mold removal experts. You should also check all appliance hoses, faucets, drains and showerheads for leaks, drips and pooling water. Finally, make sure your home is properly insulated and, if you live in the Miami area where humidity is rampant, invest in some room dehumidifiers! No home can be both moldy and beautiful. Play your mold-prevention role in this homeowner dramatic series and come out on top with the best house on the block!